This entry was posted in Culinary, Insider Tips, San Diego Events and tagged dining, encinitas, north county by Kate. Bookmark the permalink. was good, but also disappointed. mainly, the dishes were not hot enough! they seemed to sit in the window too long, thus it being a luke-warm plate. my friend and I also asked to have Chef Moody sign our menus, which the server had him do. however, it would have been more appropriate for Chef moody to come to us directly and return our signed menus and thank us for making a long journey to enjoy his pop-up undertaking. disappointing. also, there should be NO children (toddlers, for example)at such an affair! we paid good money for the experience, not to be harrassed by misbehaving children and clueless parents!!! Me too! I am so excited to experience this new concept! 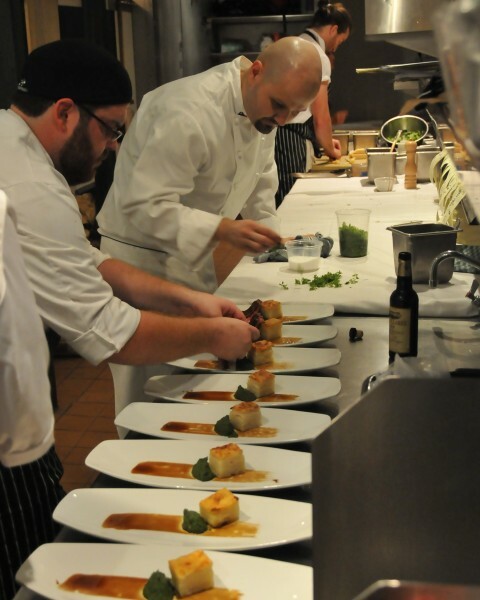 Look forward to tasting chef Moody’s creations! Will be there the 19th! So excited to experience this & see how the culinary genius pairs, combines, and WOWs. I am really excited to try it! Sounds like a fun, new way of dining! great way to test put a new & fickle market, try out new ideas & palettes and make it fun and exciting for regulars….yeah for creative foodplay!